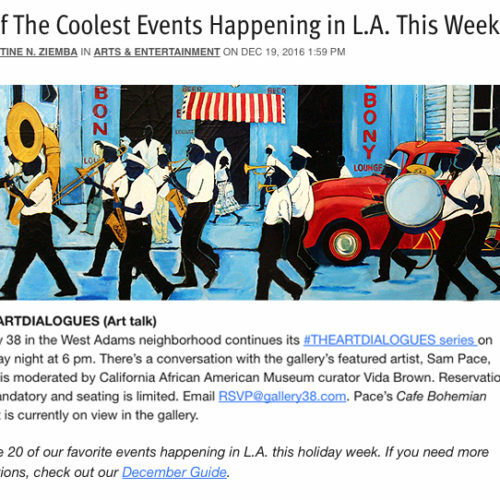 LAIST features #TheArtDialogues in their Top 20, See You Tonight! 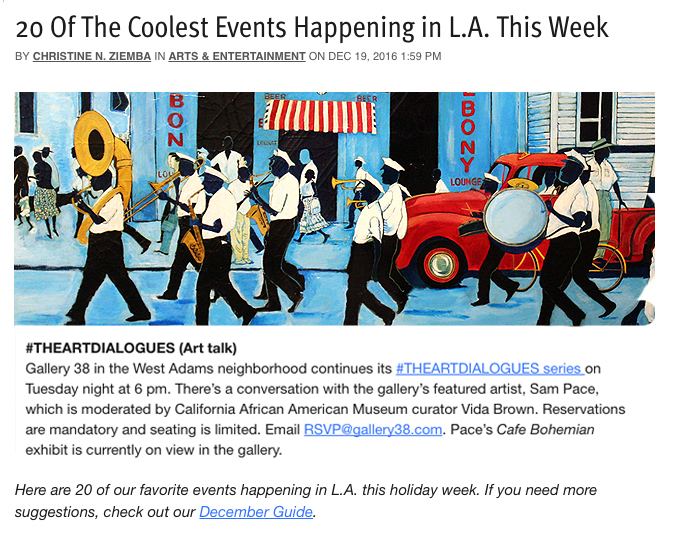 Thank you to LAist for listing us as one of the 20 coolest events to attend this week! Gallery 38 is back with it’s series, #THEARTDIALOGUES, in conversation with our featured artist, Sam Pace. Moderated by CAAM curator, Vida Brown. The series offers a glimpse into the featured artists and their work through intimate artist conversation with a goal to improve artist and collector education. Dec 20th, 6-9pm, RSVP mandatory, limited seating. Email, rsvp@gallery38.com // #sushi sponsored by Meshuga4Sushi! Sam Pace’s “Cafe Bohemian” exhibit is on view in our gallery and online.